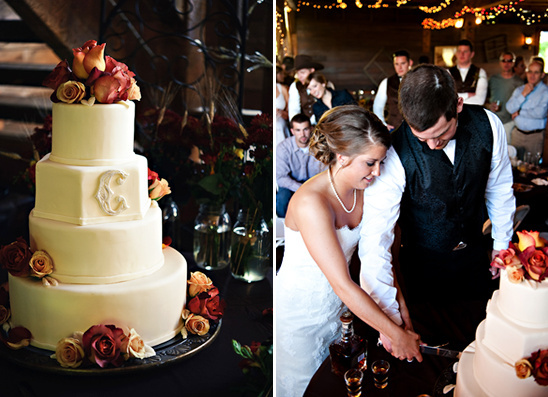 We are so excited to share Michelle and Troy's Washington country style wedding with you! There are so many special details to this day, and Melissa Tomeoni of Soul Mates Photo was so kind to share with us. There are so many fun facts about their special day, read onto hear all about them. First, Michelle's dad artfully created her altar by hand. After the ceremony and the fun began, Michelle toasted her new husband with a shot of Jack. Can you imagine Michelle and her sister speeding around the dance floor to the electric slide? Super cute for sure! I'm not sure which of these elements make my skin tingle and my heart smile but all of them have a dash of country and a whole lot of fun. 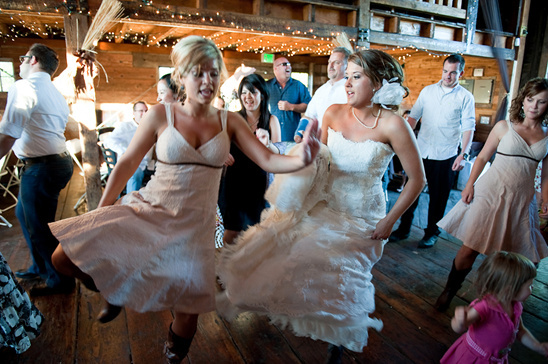 The bridesmaids were adorned in cowboy boots, crochet dresses and bouquets complete with wheat. The bride not only boasted her engagement ring but a promise ring made to resemble a horse's bit. 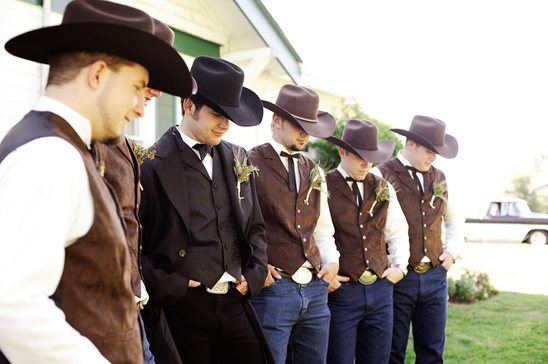 The guys looked ruggedly handsome in their cowboy boots, hats and belt buckles and while drinking from canning jars. Over the top, just how we like it. Michelle and Troy married at the Wine & Roses Country Estate the perfect setting for a country style wedding. 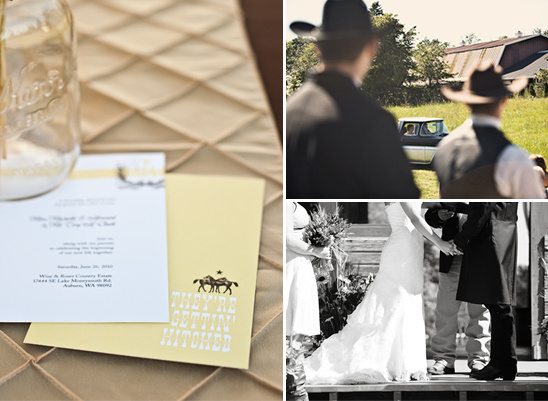 As guests arrived they perched on hay bales and the isle runner was made of canvas. Michelle's dad drove her to the aisle in his classic pickup and she left in her new husband's raised truck. 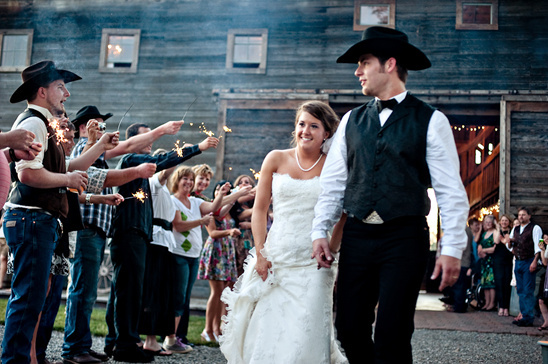 A perfect exit for a backyard country wedding.